After a 2012 trip to Germany shed light on the history of her discipline, University of New Mexico Senior Lecturer Lisa Whalen knew she wanted to share a similar experience with her chemistry students. 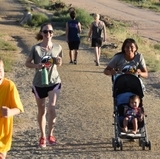 Now, more than four years later, Whalen, along with another UNM professor, is getting ready to take a group of undergrads to the other side of the world as part of a rare and unique learning experience. The Schloss Dyck study abroad program has been in existence at UNM since 2008 and is a joint venture between the University and the Schloss Dyck Foundation in Germany. 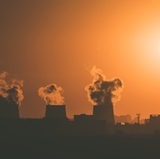 Over the years, the program, which changes annually, has offered a variety of interdisciplinary themes from environmental policy and history, to the study of history and memory. But now, for the first time, students who have traditionally been confined to laboratories on campus are getting the chance to travel and learn. 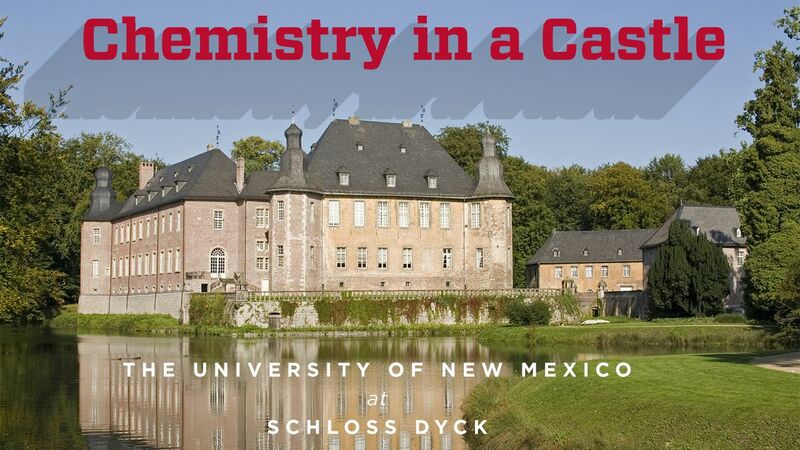 “We’re excited about the first hard-science study-abroad program offered under the umbrella of the Schloss Dyck program,” said Christine Sauer, associate director of UNM’s International Studies Institute and the Schloss Dyck program organizer. The schedule starts with several class meetings at UNM before the group travels to Germany to continue their studies. While on campus, students will take Medicinal Chemistry, taught by Whalen, and Pharmacology of Antibiotics and Anticancer Agents, taught by UNM Biology Professor Christopher Johnston. They will also visit the Veterans’ Administration Cooperative Studies program here in Albuquerque for a presentation and tour led by UNM College of Pharmacy alumnus, Adam Henrie, Pharm.D. “This is an excellent example of a collaboration between the Departments of Biology and Chemistry that will give students a unique look into the drug development and application process,” said Johnston, who will also be traveling to Germany for the second part of the program. After completing the core classwork at UNM, students, along with the faculty supervisors, will embark on their trip to Germany. 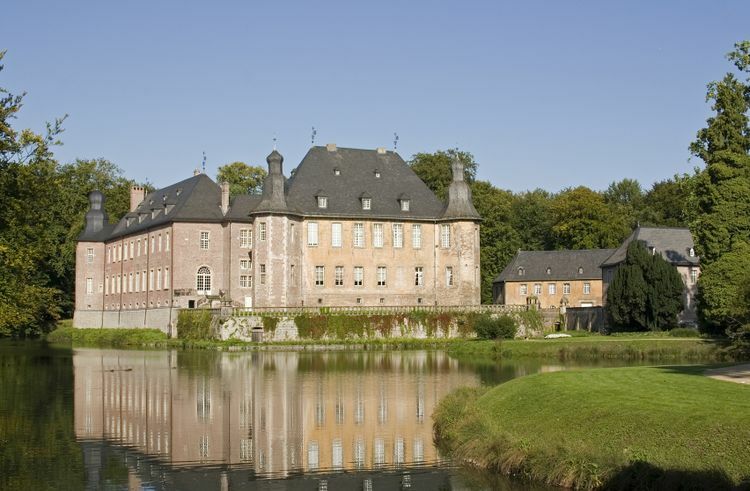 While in the country, students will live at the Nikolauskloster monastery and continue their studies just up the road at Schloss Dyck – a 1,000-year-old moated castle. While students will continue to learn through daily class sessions, both Whalen and Johnston have scheduled several field trips across Germany to give students a more in-person look at medicinal chemistry and pharmacology. Students will be able to visit the Merck Headquarters in Darmstadt, a well-known pharmaceutical company, as well as the Paul Ehrlich Institute in Langen. They will also get the chance to spend time at the Medical History Museum and visit the Leibniz Institute for Molecular Pharmacology in Berlin. At each of these locations, along with several others, students will not only learn about the history of Organic Chemistry in Germany, but also see how drugs are designed and scaled up from small research labs to large commercial productions and tested in clinical trials. 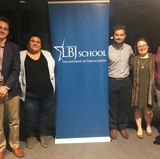 Whalen says the program filled up within the first month, attracting 14 students from degree programs like chemistry, biology and biochemistry – further demonstrating the interest from science majors to take part in these types of study abroad programs. 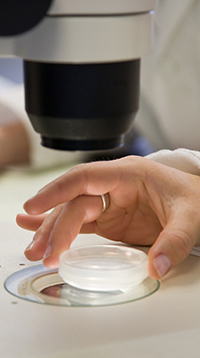 This program was made possible through support from the Office of the Provost, the Combined BA/MD Degree Program, the Departments of Chemistry and Biology and the International Studies Institute. To learn more about the 2017 Schloss Dyck program, visit their website.